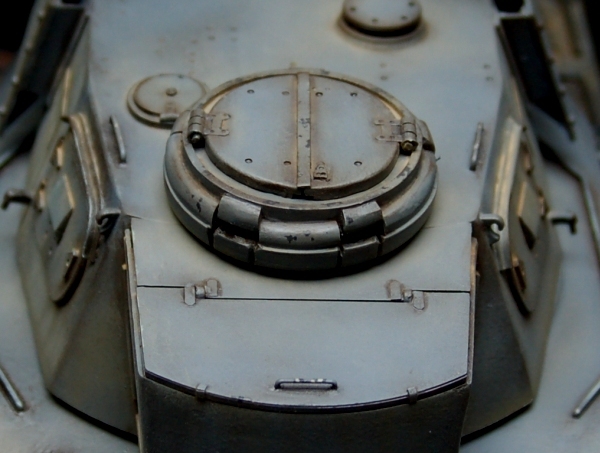 Home > Gallery > German > Panzer IV Ausf. 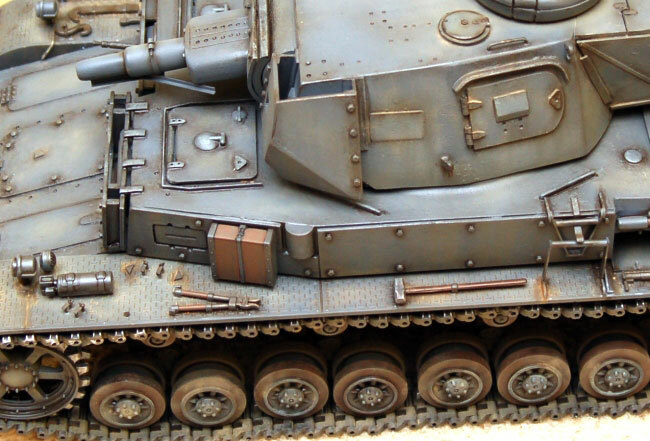 E "Vorpanzer"
Panzer IV Ausf. 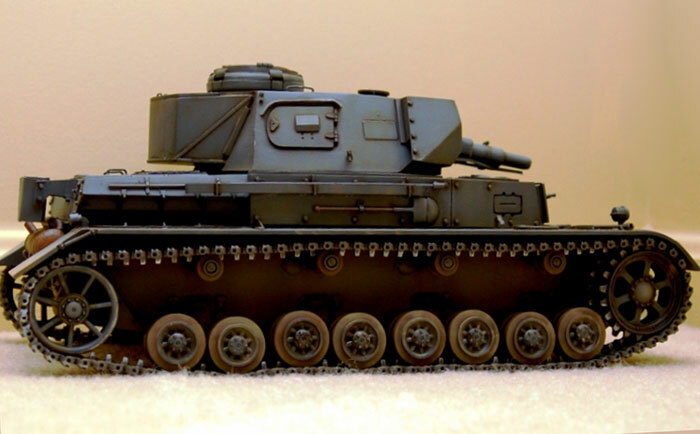 E "Vorpanzer"
The model is based on a Bandai Panzer IV Ausf F kit (static model). 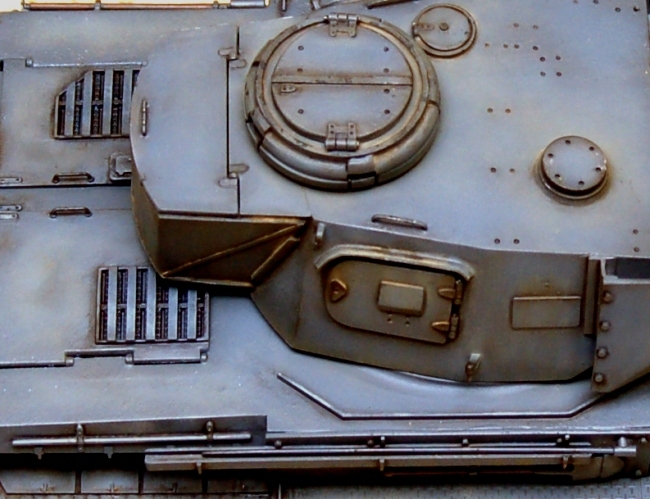 I have added a lot of styrene to increase armor and provide more details. 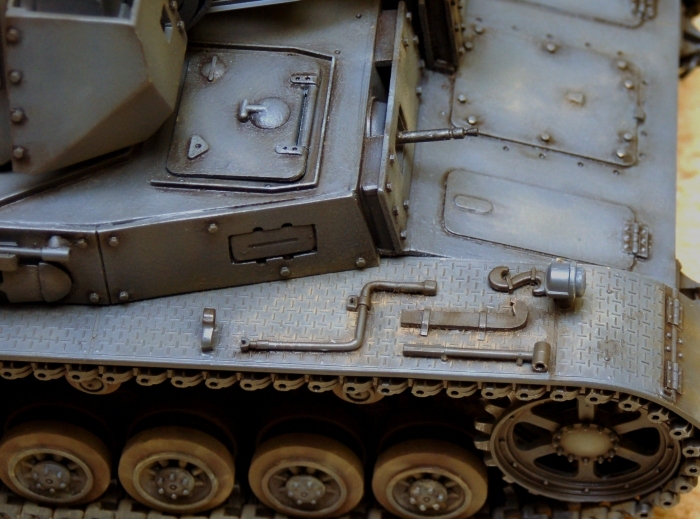 Some other details came from a Tamiya 1/16 scale Tiger I kit. Other added details include brass sheet to make the muffler and brass bolts that were applied all over the hull and turret.